Antonio Scarponi, founder of Conceptual Devices, is an Italian architect and designer currently based in Zürich. 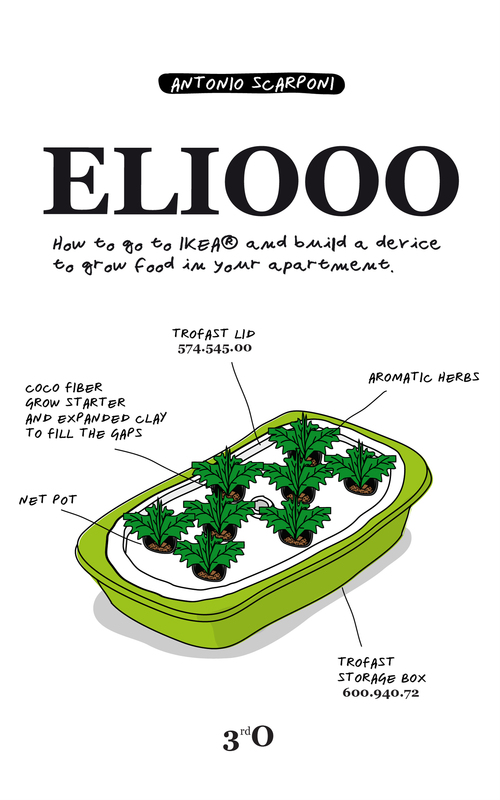 Last year, he released ELIOOO—a book about how to create your own hydroponic garden with IKEA parts—using a crowd-funded publishing model. With a translator, he recently completed the Japanese version. Antonio talks to Libby O’Loghlin about the attraction of crowd-funding for publishing, and about architecture as concrete poetry. Antonio, you are very hard to fit in a (word) box! You publish books and teach, and you design all manner of things from hotels and other public and private spaces … to clothing and ‘home’ furnishings. If there were a theme running through your work, what would it be? 07_A. Scarponi, ELIOOO, Book Cover, 2013. 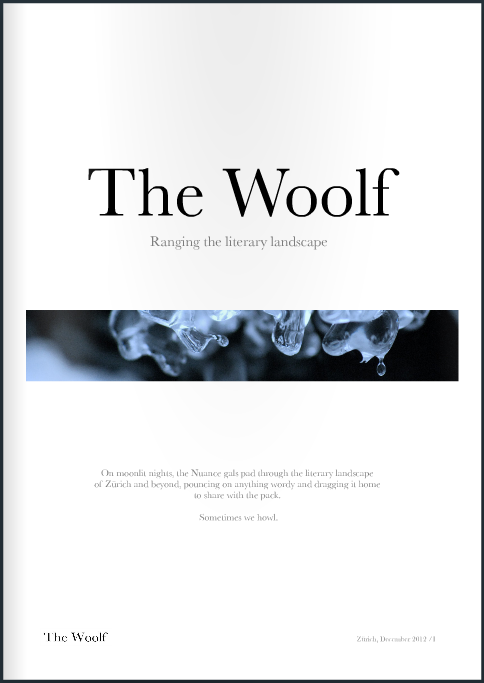 Tell us a bit about what attracted you to the crowd-funding model for publishing a first book? Had you used it before, for other projects? As an architect, I like to do experiments. This was one of them. I wanted to understand how crowdfunding works and why. In order to understand things I make them and or I design them. In this case I have made a couple of crowdfunding campaigns. I would need to make another one to complete my greater experiment and verify my hypothesis. We will see … I am not sure I will make another one. What did you learn from the process? And would you say it is a model that is readily adaptable for all people with creative projects? What did I learn from the process? It is going to be too boring and too long I think. Any process teaches something, especially if you do it for the first time. As far as it regards me, design or architecture theory is bulls**t. I think it would be more honest of me to say that I am interested in the lyrical. I’d like to see what I do as a form of concrete poetry. But this does not say that I am any good at it. The world in itself I think is a concrete poetry. That does not say that it is a good one. In the literary world, people often talk about standing on the shoulders of giants: how works of fiction are in dialogue with works that have come before them. Is this true of design? Are there elements of plundering and remix in order to build the new? I do not like this expression. Any giant is sitting on the shoulder of other giants, I think. This is not what makes them giants thought. This counts for myself. When you do something there is always someone who did it before you. For me this is why it is worth doing it. In my understanding, each time is unique and sacred as the first one. I think the destiny of any man should be to recreate and to achieve (in a human sense) what the rest of the humanity has achieved. Every child should replicate the whole history of humanity. And Possibly try to improve it. 04_R. De Luca, A. Scarponi, Hotello, 2013. Some time ago, you wrote a phenomenology of concrete storytelling in order to illustrate how good design is ‘a tangible fragment of a world that makes sense’. I enjoyed reading this because it left me feeling optimistic that design can communicate not only ‘what is’, but ‘what could be’. Do you believe design can change people’s minds? This is what I hope. Design is by definition imperfect. It is imperfect because reality is imperfect. In this sense, design always triggers a narrative. The user is part of it. It’s actually the protagonist of this narrative. The best character is always there to change his own narrative. Then he makes something … I am not a novelist by far, and probably what I am writing would insult any English reader without your editing, but I am arrogant enough to say that in the end of the day every plot could be cut down to this very line. A Gallery of a selection of Antonio’s works can be seen here. 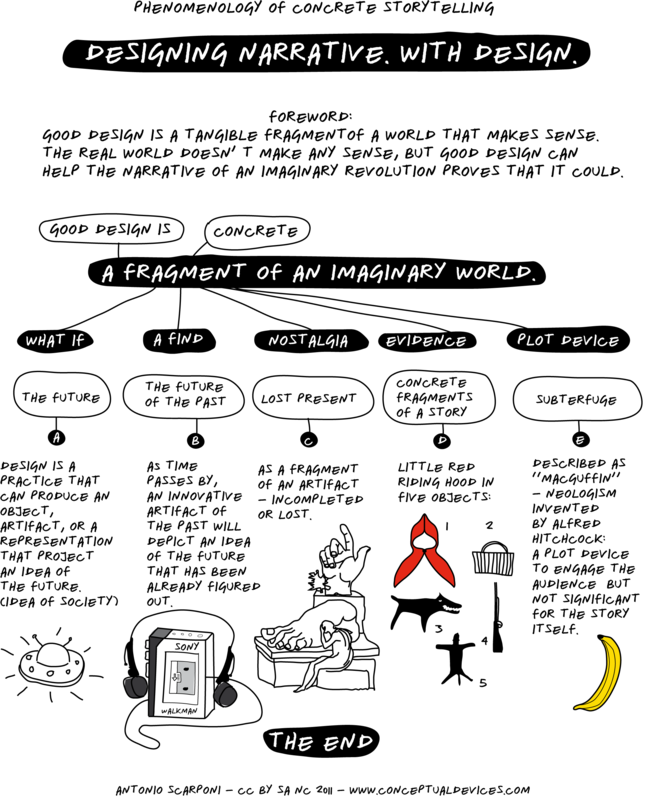 15_ A. Scarponi, Design Narrative Manifesto, 2010.